Black Pepper plant, Piper nigrum, is the traditional source of the seasonings black ground pepper and white ground pepper. The black peppercorns are made from the unripe green berries. The white peppercorns are made from the unripe red berries, after the red skins are removed. Mignonette pepper is a mixture of black and white peppercorns. Black Pepper is a native of the Malay archipelago and prefers rich, well composted, moist soils in a protected, sunny position. Drought and frost tender. 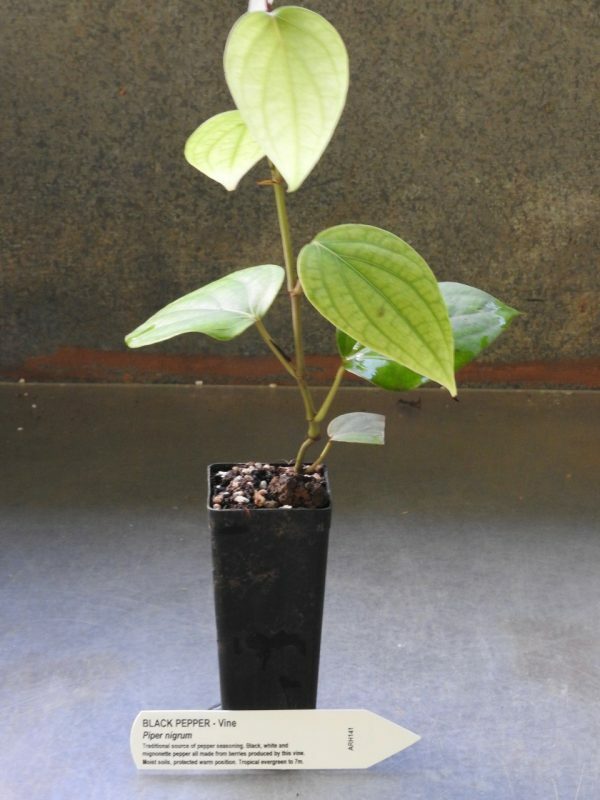 A tropical perennial evergreen vine, growing to a length of 7m.